The storm clouds are beginning to form as NATO sends troops in to Eastern Europe; the Middle East is crumbling and oil becomes as cheap as water, something is definitely not right with the economy. Whilst the major economies are growing they are not growing as much as in recent years, so securing and growing your business will become even more challenging. Undoubtable, the most important asset to your business is your team (no it’s not the new roller-coaster or chicken feather plucking machine just bought from Hitachi!!). Across the globe teams have only just been regrouped. I think we all agree the last downturn left most industries a bit shell shocked and as we all sit down this week to watch The Big Short and realise the last crash was all down to one smart dude’s idea, suddenly everything in regards to the economy seems a little bit easier to break. Even more so in these uncertain times companies need to invest in their people and celebrating success though an awards ceremony is a great way to say thanks to the whole team and celebrate key achievements. 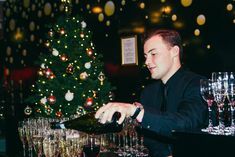 Many studies have shown pay rises are not actually the main motivator but feeling needed and wanted always scores highly, so all the more reason to big your team up with a glitzy awards dinner! People will remember a unique experience far longer than they will a token 2 % pay rise. 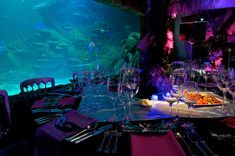 Here at Madame Tussauds, the Riverside Rooms and Sealife London Aquarium we offer three very different awards dinner venues that are an ideal way to say thank you to your team at a reasonable cost and will certainly tick the unique experience box! Where there is not a built in stage we can provide stage units and at all of our venues we own our own equipment, including screens, PA system and integrated LED lighting allowing us to keep costs more competitive than some galleries and museums. Your guests will feel super special and no matter what budget and style you have there are many unique spaces that host memorable awards evenings. Why not take a look at www.merlinevents.com or www.uniquevenuesoflondon.com for some inspiration. Is saying thanks and celebrating your success as important to you as a pay rise?